Ultra rare Dodge POWER WAGON. This four-wheel drive open cab truck is in wonderful conditioning. It runs and drives and brakes as it should. This example is truly in superb condition. There is no rust issues or body damage. The truck has a factory PTO front mounted winch that can pull a house down. The Power Wagon has a very nice wood bed, side rails and rear bench seating. The front seat are in great shape too. The windshield folds out or completely folds down. The truck has a full canvas top that of course is removable. Its powered by its original flathead six cylinder engine and 4 speed transmission. 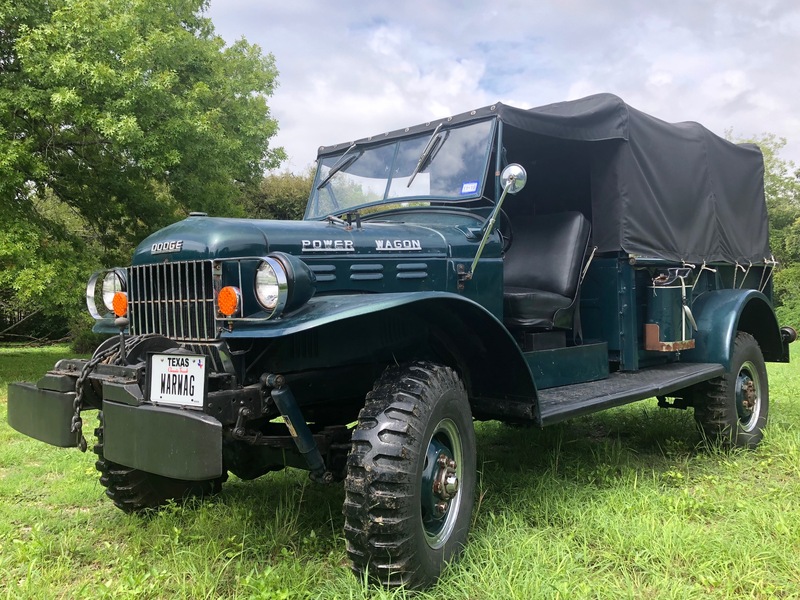 This truck would be perfect for taking guests around on a large ranch, collector shows etc. You will likely never have a chance to buy another one like it.